The 2018 Acura NSX is absolutely stunning, with an effortless grip for high speeds, a minus three-second acceleration which is seamless, and technological wizardry. However, it goes against the Porsche 911 Turbo, which has astounding performance of its own, along with extensive powertrains and an interior which is majestic in quality. Which of the two should you add to your car collection? The Porsche 911 Turbo displays the iconic shape that the brand has become known for. Changes have been made to the 2018 edition, but they are slight, such as in the taillights in the back or its horizontal elements. Within the interior, the dash is well adorned, displaying world class trim with centrally located touch screens. The Acura has the look and feel of a supercar. Its shape is heavily based on aerodynamics, yet it provides a very comfortable interior inside. Its structure is wide and low, just inches above the ground. The nose still features that classical “beak” that Acura has become known for, with a mesh grille that is prominent, with LED lighting visible in the corners. The Acura NSX can only hold a maximum of two people, a decision which was likely made to emphasize its performance capabilities. Acoustic glass is incorporated into the rear window to ensure sound is blocked out, and the interior leather is supple and thick. The seats must be adjusted manually on standard editions; those who want powered seats must pay extra. When it comes to safety the NSX is devoid of many of the mechanisms which are found in other Acura models. It does have lots of airbags and rollover sensors. The Porsche 911 Turbo also seats a maximum of two with adjustable power seats that come standard. It also has a multifunction display which is 4.6 inches in size. In terms of safety, the Porsche 911 has lots of airbags which are designed to inflate upward, as well as reinforced doors to protect from side collisions. When it comes to performance the Porsche 911 Turbo is a force of nature, period. Even the most basic models can produce 370 horsepower with 331 pounds of torque and can be upgraded to over 400 horsepower. This allows it to blaze from zero to sixty in about 4 seconds. The Acura NSX comes equipped with a V6 3.5 liter engine that produces an incredible 500 horsepower. It uses port and direct injection to maximize the delivery of fuel. Both the NSX and 911 Turbo are fast, efficient and comfortable, and while the NSX has greater horsepower, it has some serious drawbacks. It lacks the amenities of the Porsche, the tires can adversely affect its road feel, its hybrid gas system leaves a lot to be desired, and some feel it is overpriced, so the Porsche 911 Turbo is the winner. Ready to Schedule a Porsche 911 Turbo Test Drive Today? Feel how it is like to drive a luxury car offering the total package like that of what the 2018 Porsche 911 Turbo offers. 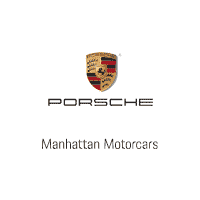 You can drive this stellar car here with us at Manhattan Motorcars. We are located in New York, and we are servicing the needs of car buyers in the Tri-State area. Visit us today at our showroom or call us to book your Porsche 911 Turbo test drive appointment in advance.